Welcome to the Faculty Toolkit. 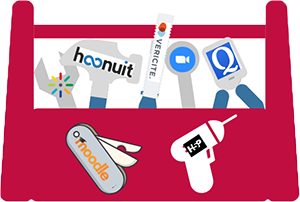 The Toolkit is a repository of user-friendly tips, ed-tech tools, training and resources. The goal is to identify, explain, develop, implement and support innovative technology for the enrichment of academic experiences. Moodle is our Learning Management System at Albright. Do you have a Moodle question? Start with the Faculty Moodle Help Page for 24/7 help for all your LMS related questions. Not finding what you are looking for? Contact Client Services to get additional help. Do you have questions about Kaltura, VeriCite, or H5P? Do you want to record content for your course and and post as narrated screencasts? Would you like to use polling in your classes? Do you want to add an online, interactive module to your curriculum? Do you have a tech idea and need help getting started? Use the links on the left to browse through the pages resources. Can’t find what you are looking for? Schedule an appointment and let’s meet! 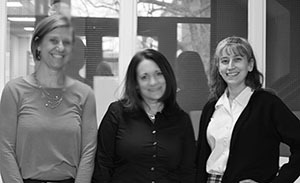 The Instructional Design team looks forward to helping you be successful.